The three features below define the core essence of Teddie and I. They influence every decision made throughout production and act as our north star. The combination of these three make the game a truly unique experience that we hope players from all walks of life will enjoy and that will leave the player with a lasting positive experience. The game is powered by the interactions between Erin and Teddie. 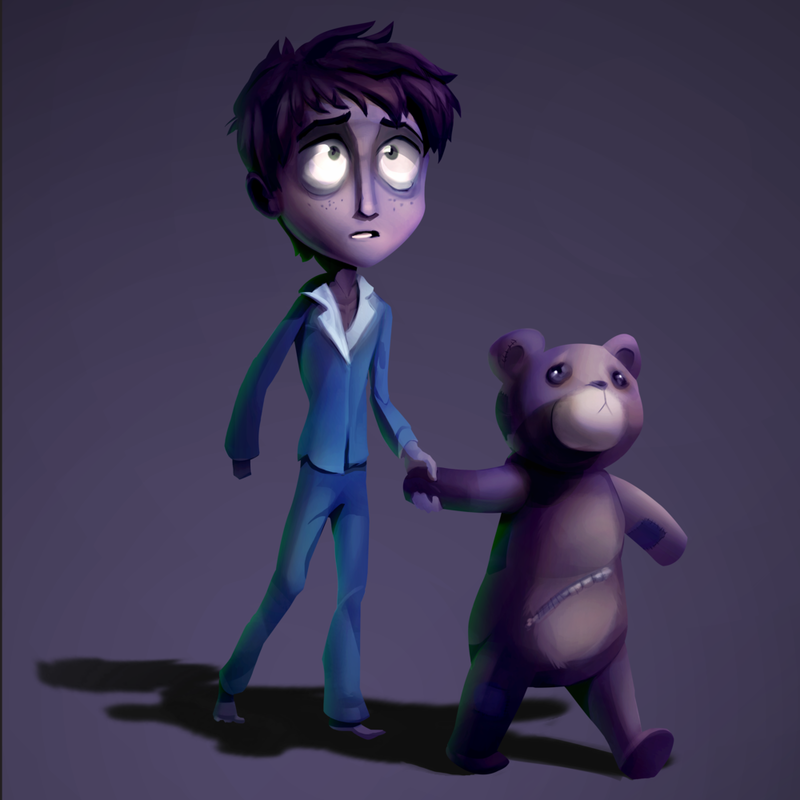 Through cooperation with their computer-controlled friend, players are capable of solving a wide variety of puzzles and overcoming otherwise insurmountable obstacles. As players progress, they will discover more about the characters via their interactions and strive to fully understand them. Through the use of the environment, Teddie and I is capable of providing the player with unique puzzle experiences that avoid the repetitive pitfalls of traditional platforming-puzzle games. We are able to make puzzles unique to the areas they appear in without overly complicating the task. Through the combination of the previous two mechanics and our masterfully written story, we immerse the player in the nightmarish realm and connect with them on a meaningful level. it is one of our key motivational factors for players to continuously press forward as they discover who Erin really is and how human a teddy bear can be.